From the Beltline to the Bloomingdale Trail: What Can Toronto Learn from Chicago’s Newest Park? How Toronto can make the most from our own rail line-turned-park. Photo by PL Tam from the Torontoist Flickr Pool. In June, Chicago’s Bloomingdale Trail joined New York’s High Line as the latest set of train tracks to be transformed into a public park. But, before you turn green with envy at this innovative investment in open space, let’s remember that Toronto has its very own converted railway corridor. 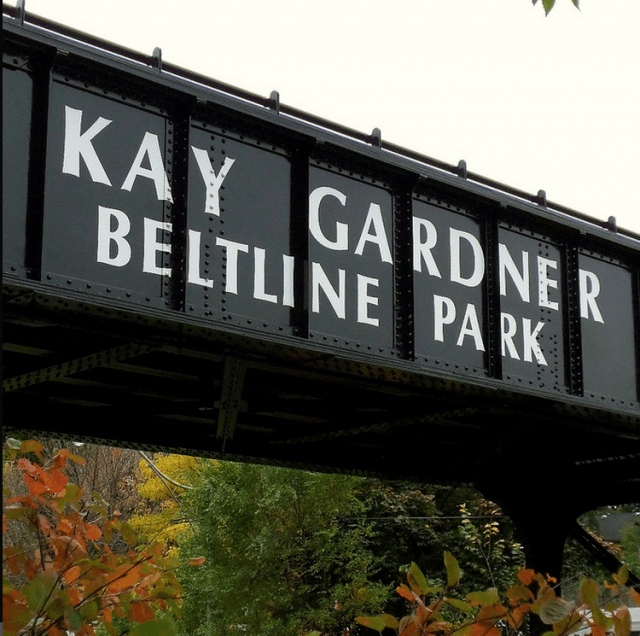 The Beltline Trail may get less love than its American counterparts but, like the Bloomingdale Trail, it started out as a railway line designed to link suburban communities to the downtown. While the Bloomingdale Line was constructed in 1873, Toronto’s Belt Line Railway opened in 1892. As transportation patterns changed in both cities, the train tracks fell out of use. Parts of the Beltline have been popular cycling paths since the 1970s, but in Chicago the conversion of the Bloomingdale Line didn’t start until 2013. In Toronto, three different trails form a linear park along the route of the former Belt Line Railway. The York Beltline Trail, the Kay Gardner Beltline Trail, and the Ravine Beltline Trail provide nine kilometres of green space and cycling paths stretching from Moore Park Ravine in the east, past Caledonia Road in the west. Despite the strengths of this trail system, not enough attention is paid to the transition between each section of the park and the relationship between the paths and the surrounding streets and sidewalks. Fortunately, Chicago’s Bloomingdale Trail offers three ideas about how to bring rail parks into the 21st century. First, signage: banners, maps and signs draw attention to the location of Bloomingdale Trail and celebrate its story. Although the Kay Gardner Beltline Trail has some branded trail markers and explanatory panels, these features are not shared among other sections of the trail. Second, access points: in Chicago, landscaped ramps connect the Bloomingdale Trail with the sidewalk like clover leaves built to a human scale. In contrast, the Beltline is bisected by Allan Road and interrupted by other streets that force users to either jaywalk across busy roads or veer from the trail to find the nearest crosswalk. Finally, name recognition: three different names complicate the common history of the land once owned by the Belt Line Railway. Inconsistent design elements and outdoor amenities in different sections of the park add to the disjointed feel of the trail. Unlike the fragmented form of the Beltline, the Bloomingdale Trail was designed to bring together four distinct neighbourhoods in Chicago. Collectively, the network of elevated paths and street level parks joined by the former railway is called The 606. The name is a nod to the zip code digits that all Chicagoans share and a powerful symbol of civic pride. The 6ix needs to learn from the unified vision of The 606 to strengthen the connections between the already remarkable series of paths and parks that make up the Beltline.